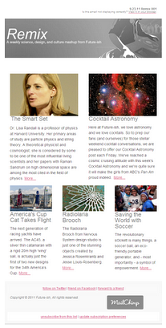 On the heels of last weeks Cocktail Astronomy in which war focus on Curiosity, NASA's latest mission to Mars, we thought it would be fun to go big time planet exploration. Leading the charge into our search for other planets is the Kepler mission and spacecraft named after the 17th-century German astronomer Johannes Kepler. Launched in 2009, the goal of the almost four year mission is to survey an area of the Milky Way galaxy to find Earth-like planets in the 'Goldilocks' or habitable zone of other stars. 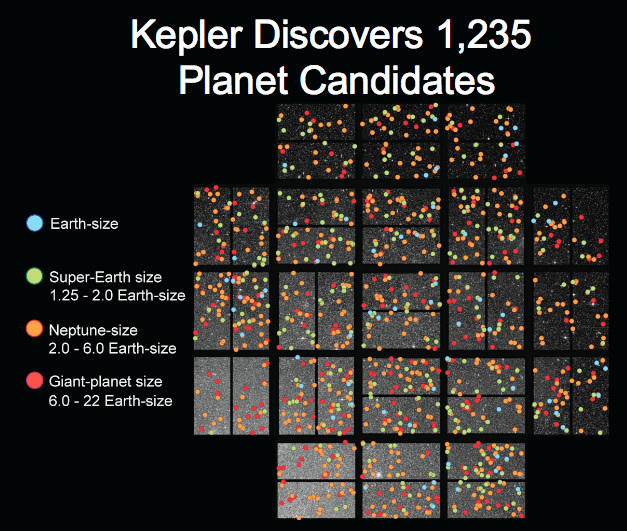 Kepler does this by using its photometer to monitor the brightness of over 145,000 stars in its field of view. Regular fluctuations in brightness indicate the presence of planets crossing the star. 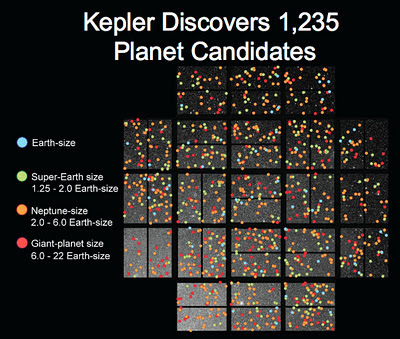 Before Kepler, it was hard to find smaller, Earth-like planet candidates but now they are becoming a dime a dozen as Kepler helps understand the size, frequency, and location of planets and planetary systems in our galaxy.